PDL treatments usually take only a few minutes and are performed during an outpatient clinic visit. No anesthesia is required, as the machine produces a cold spray just before the laser pulse, diminishing the sensation of pain. Most patients usually need between 1-3 treatments. Patients with port wine stains, hemangiomas and extensive rosacea may need more treatments. Improving the appearance of red scars, hypertrophic scars or keloids may take a variable number of treatments. As with any other treatment, incomplete response or recurrence may occur. The pulsed dye laser is a device producing bright light that is absorbed by abnormal blood vessels, which in turn are destroyed without damaging the surrounding skin. The laser uses yellow light, which is very safe and does not result in any long-term skin damage. This laser has a pen like handle, produces a 1 or 2 mm laser spot size and is used to trace over smaller vessels and red spots. It does not have a cold tip or cooling device. 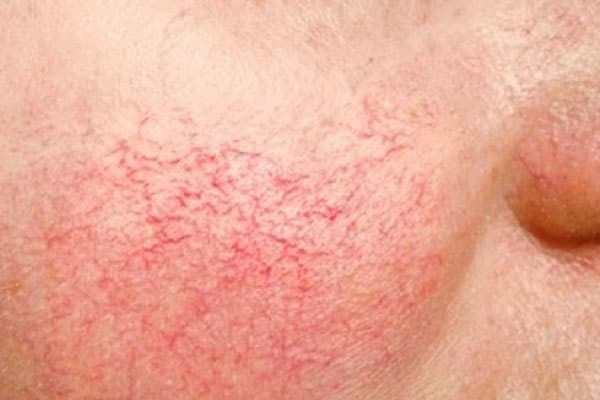 Vascular lasers selectively target and damage unwanted or abnormal blood vessels and are used by dermatologists to treat ‘broken capillaries’, persistent facial redness, rosacea, burns, scars and vascular (red or purple) birth marks. Factors such as the age, color and type of lesions, as well as the location on the body, all determine whether lesions can be removed. What Kind of Conditions Can Be Treated with a Pulsed Dye Laser? THE FOOD AND DRUG ADMINISTRATION (FDA) HAS CLEARED THE PDL FOR USE IN TREATMENT OF WARTS, PORT-WINE STAINS, HEMANGIOMAS, HYPERTROPHIC SCARS, AND TELANGIECTASIAS. THE PDL HAS SHOWN TO BE EFFECTIVE IN TREATING GLOMANGIOMAS IN THE FACE AND NECK, AS SURGICAL EXCISION MAY NOT BE PRACTICAL IN THESE COSMETICALLY SENSITIVE AREAS. IT HAS ALSO SHOWN TO BE EFFECTIVE IN REMOVING PYOGENIC GRANULOMAS IN the SENSITIVE AREAS OF THE FACE AND NECK. Our dermatologists will ensure you are as comfortable as possible; most patients lie down, depending upon the area being treated. Both the patient and staff will be wearing protective eyewear. When the treatment begins, the laser will be calibrated and the parameters will be set, based on the specific condition being treated. Treatment parameters are set in after a dermatological consultation with the patient. Standard settings typically produce redness and swelling, resembling a bad sunburn, which may last several days. 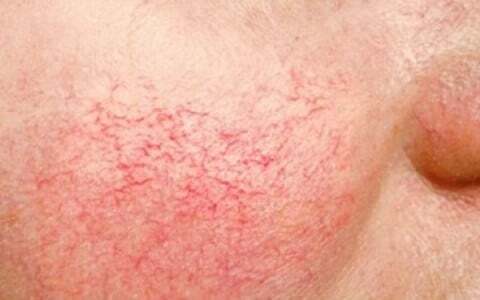 More aggressive levels, sometimes used to treat marked rosacea or similar conditions, may result in spotty bruising. Treatment for conditions such as port wine stains usually results in the whole area appearing bruised following treatment. Rarely, before the treatment is carried out, small areas may be tested at different settings to determine the suitable power. The area is typically evaluated 1 to 2 months after testing to determine the most appropriate parameters to use. To summarize, at the first session, our dermatologist will probably test your skin reaction to the laser. Other sessions may be longer (up to 30 minutes) in order to treat a larger area. 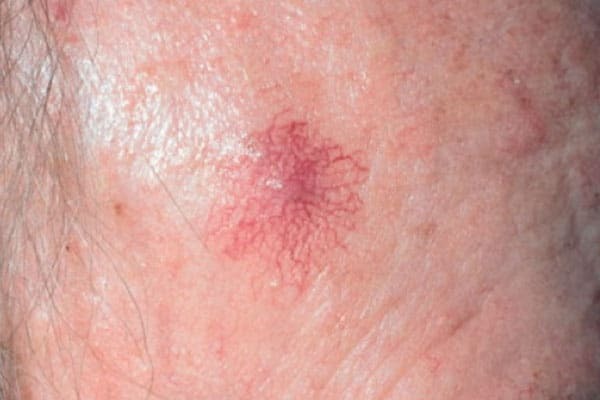 Some lesions (spider angiomas) may require only one or two treatment sessions, while larger lesions (port wine stains) require four to 10 sessions. Skin care after the procedure is straightforward. A moisturizer, such as Aquaphor Ointment or Vaseline Jelly, applied 2-3 times per day will help protect the skin and speed healing. Sun protection will help minimize the chance of pigmentary changes. Makeup can be used starting on day two. If any crust forms, patients should not pick or try to remove it. Any bruising fades relatively quickly over a 3-10 day period. The laser light feels a bit like a rubber band snapping against the skin. There is often a tingling or burning sensation for up to six hours after treatment. Most adults tolerate the procedure without anesthesia but some children may require anesthetic or medication to relax. In addition, further cooling devices can be used which fan refrigerated air across the skin. Icy water compresses are frequently applied during treatment, and this too provides for increased comfort. Immediately after the treatment, a purple discoloration appears at the treatment site which may last for seven to 10 days. As the color fades, the treated area may still look red, but it will slowly fade to the normal skin color over the next few weeks. Crusting may develop in the first several days and last up to two weeks. Some patients may experience a temporary brown discoloration of the skin for several months. 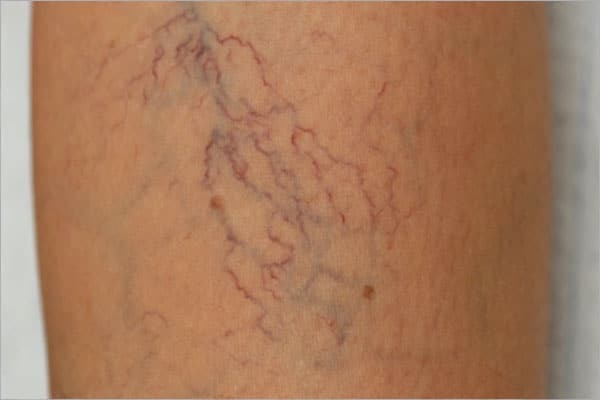 Scarring is extremely rare with this laser estimated as 1:1000 cases. What precautions need to be taken before/after treatment? The patient should avoid direct exposure to the sun for 3 weeks prior to the treatment. Sunburn and suntan may absorb the laser light and make the treatment less effective. Treated skin may also be overly sensitive to the sun and should not be exposed for several months. A sunscreen with SPF 50 or greater is suggested. Avoid aspirin and aspirin-like products for 14 days prior to treatment. An antibiotic ointment and a bandage may be applied immediately after treatment. How soon will I see the results of my treatment? The results of laser therapy are very dependent on the condition that is being treated and the number of treatments required for clearance. Treatments are also dependent upon the energy used to treat the condition. Most patients will note improvement within the first 6 to 8 weeks following the treatment. However, excellent improvement is seen for years following a successful therapy. PDL therapy is dependent upon the underlying condition. Patients with redness and telangiectasia (blood vessels) will typically require an average of 2 to 3 treatments. Patients with port wine stains usually require many treatments (an average of six or so) to lighten port wine stains. Facial port wine stains typically do best, whilst more distal areas, such as the hands and lower limbs, typically do relatively poorly. Yes. In fact, the treatment is so safe that it has been successfully used since the 1980s for the treatment of port wine stain birthmarks in infants and young children. During treatment, the outer layer of skin (epidermis) is protected by dynamic cooling (DCD), which sprays a cooling mist onto the targeted skin. Are the results of pulsed dye laser treatment permanent? Permanency of results depends on many factors, such as the condition being treated, and the lifestyle of the patient. 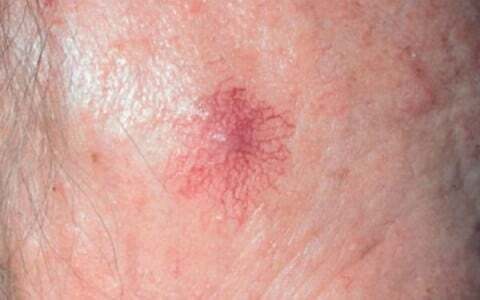 Conditions such as spider nevus and facial blood vessels will typically clear with therapy. Other conditions, such as rosacea and port wine stains (which are typically caused by ‘internal factors’), do gradually tend to recur. However, excellent improvement is seen for years following successful therapy.